We said goodbye to Hopetown on Friday. There are a couple of very nice days this weekend to make headway so we left Hopetown in 20-25 knots of wind which made for a quick trip down to Little Harbor to stage for the cut to the ocean. The winds dropped nicely overnight and other than a little ocean surge it was very comfortable. We had a nice dinner and game of Qwerkle on Onward and then back to Merlin. It was anchors up at 0630 and sunrise just before we hit the cut. The cut was very calm with small breakers on the reefs. 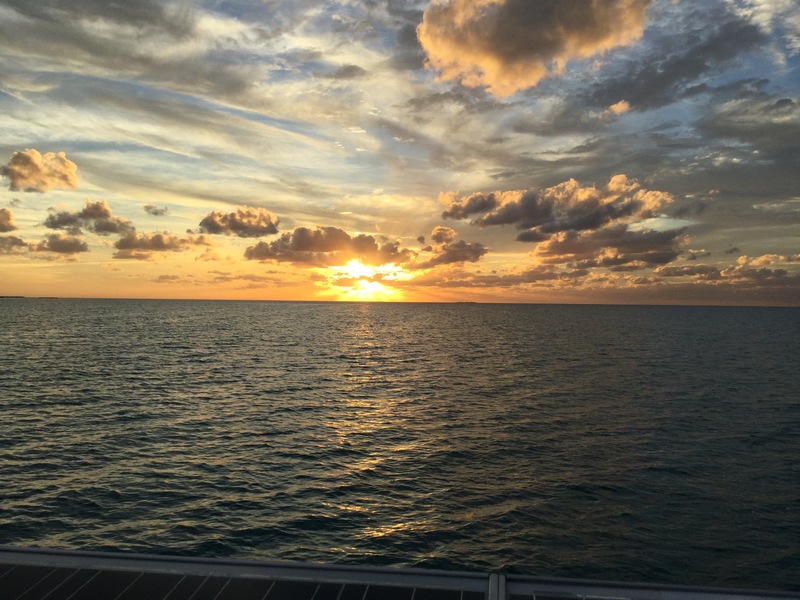 The ocean was very well behaved with an organized 4 foot swell, but just 10 knots of wind, so we motor sailed for 60 miles to Current Cut on Eleuthera where we are anchored for the night. Running the engine all day got the batteries charged and let us make nearly 50 gallons of fresh water. 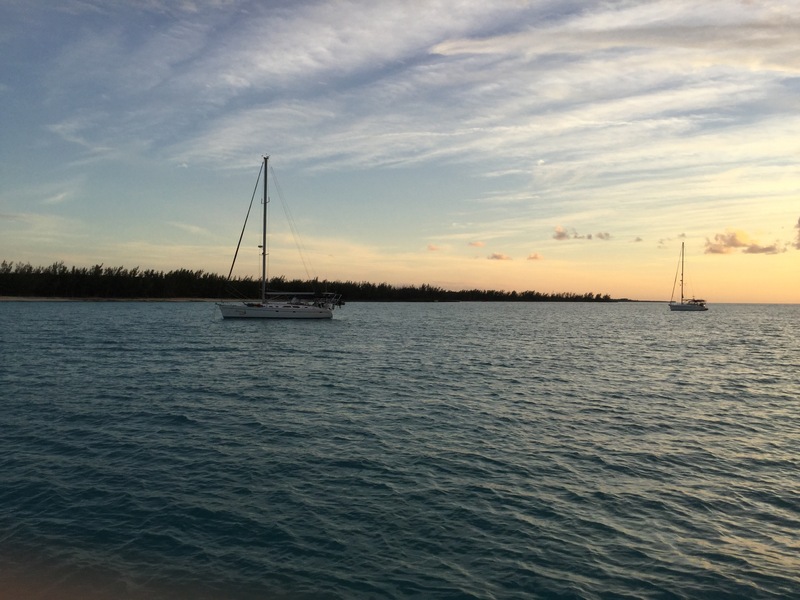 Tomorrow we head for Cape Eleuthera, our last stop before the Exumas.